Our home and native motorsport programs are small but mighty, and they churn out a volume of talent that far exceeds their scope. 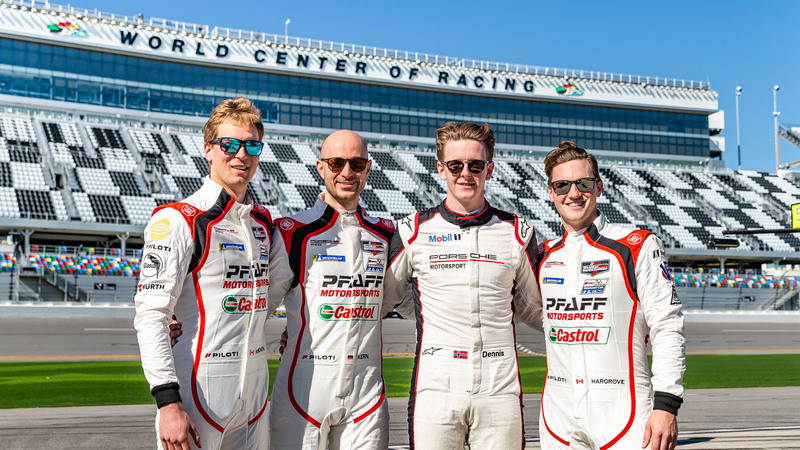 Starting at the upcoming Rolex 24 at Daytona, and all year long in the IMSA WeatherTech SportsCar Championship, Pfaff Motorsports will be doing just that. 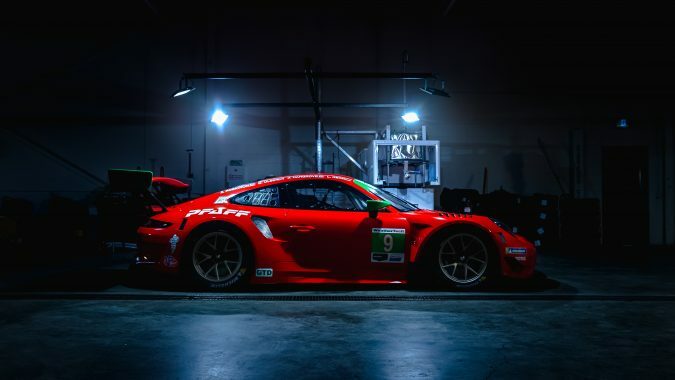 The team will contest the full season in the GTD category in 2019, making this the largest and most ambitious program in the team’s 35-year history and its first entry into any form of endurance racing. 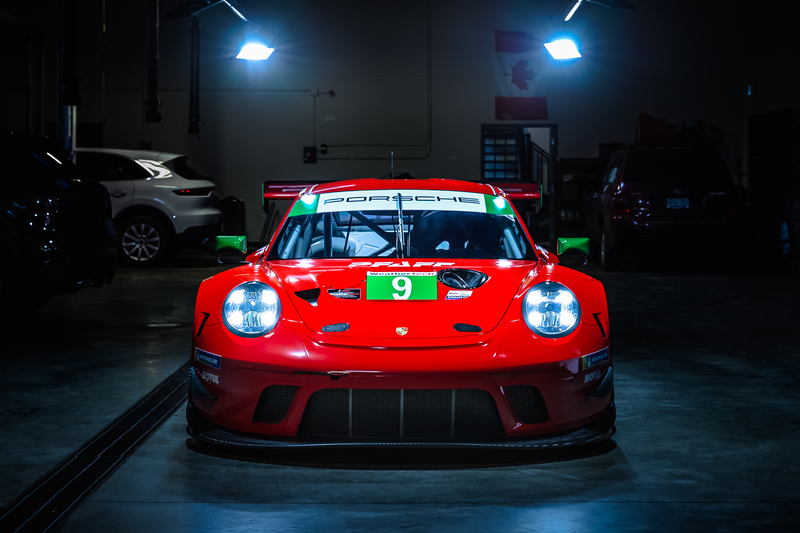 At a shop in Woodbridge, Ontario, amid a cluster of luxury car dealerships also owned by Greater Toronto-based automotive sales magnate Chris Pfaff, team manager Steve Bortolotti and his crew have been hard at work preparing their brand new No. 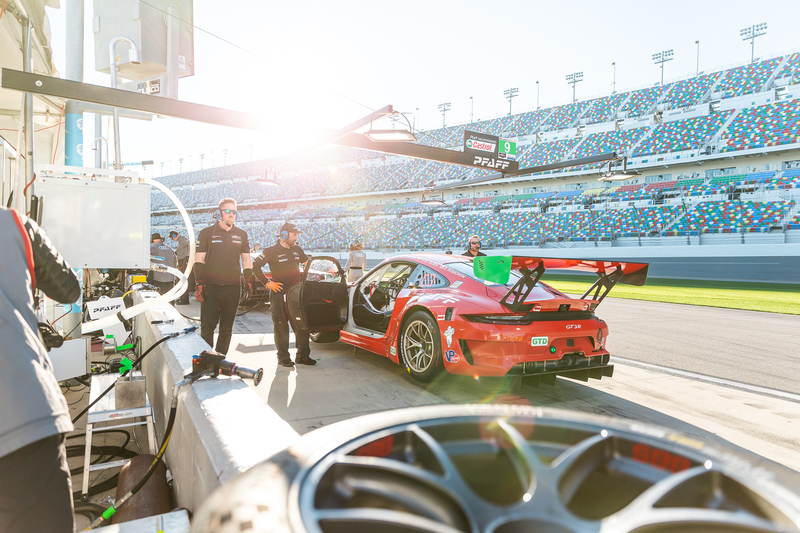 9 Porsche 911 GT3 R for Daytona, the grueling 24-hour endurance race that opens the WeatherTech Championship season. 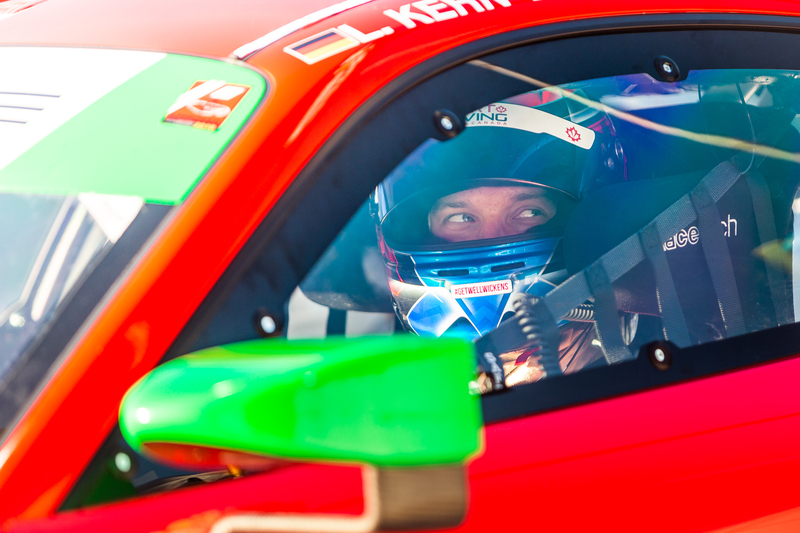 Two of Canada’s most impressive rising stars have been hand-picked to take the reins for the 12 races that make up the series calendar – including at the only stop north of the border at Canadian Tire Motorsport Park in July. Both of them already boast impressive driving resumes. Scott Hargrove of Vancouver, B.C., is 23 years old and has claimed championships in USF2000 in 2013, Porsche GT3 Cup Canada in 2014 and 2017, and the GT Sprint class of Pirelli World Championship in 2018, the latter two while racing under the Pfaff Motorsports banner. 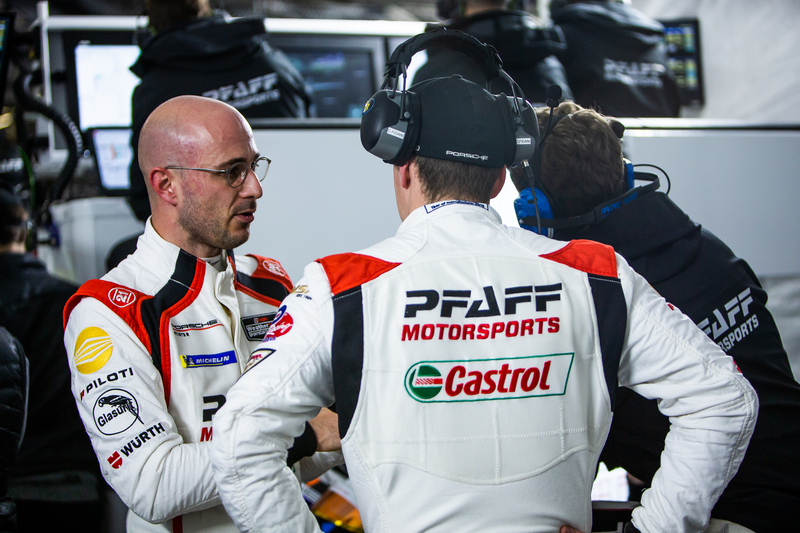 His relationship with Porsche Motorsport and history of success with the brand has earned him Porsche Selected Driver status. 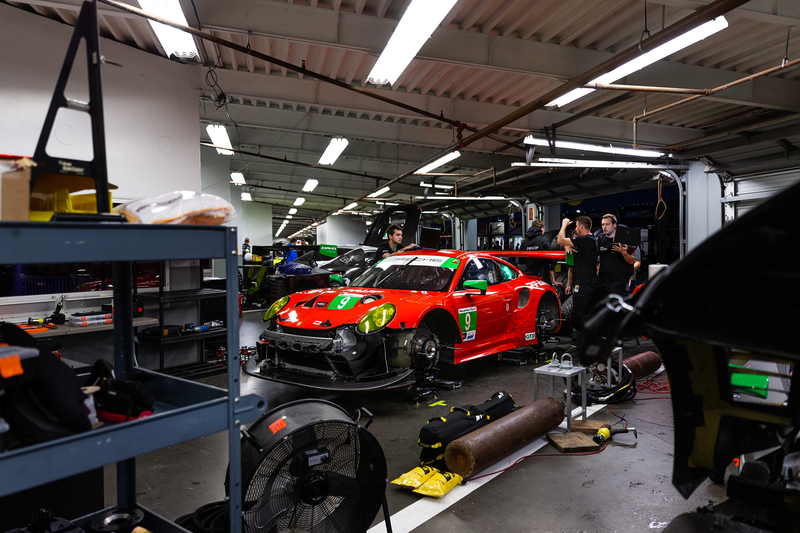 Hargrove says that progressing with the team into the top level of IMSA competition is the natural next step in their partnership, and being part of its growth gives him a great sense of pride. “I never would have guessed when I joined the team where it would take me,” Hargrove says. “You see where they came from to now and it’s unbelievable. We have probably twice as many people as we’ve ever had in the past, and they ran five cars at the GT3 Cup level and now we’re running one car. 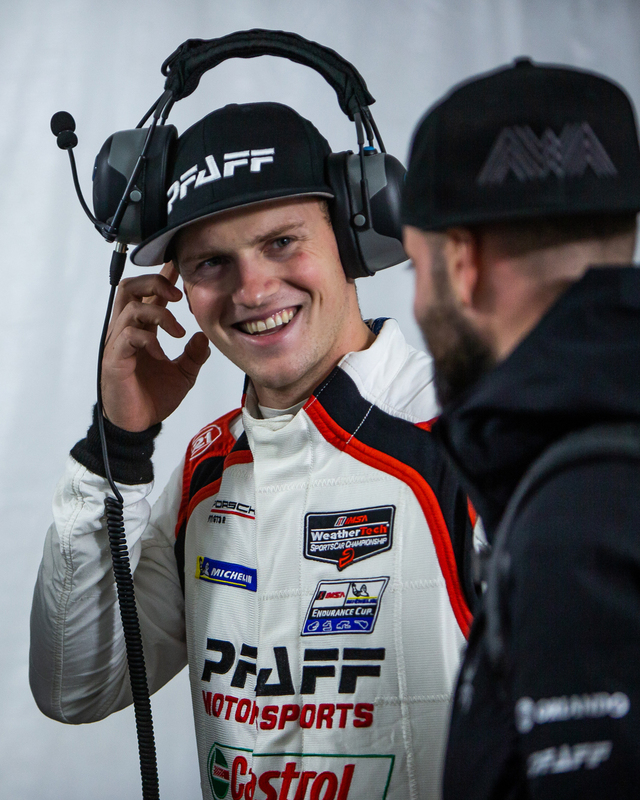 Joining Hargrove at the wheel is 27-year-old Zacharie Robichon of Ottawa, who joins Pfaff straight from earning a championship last summer in Porsche GT3 Cup Canada with Mark Motors Racing. 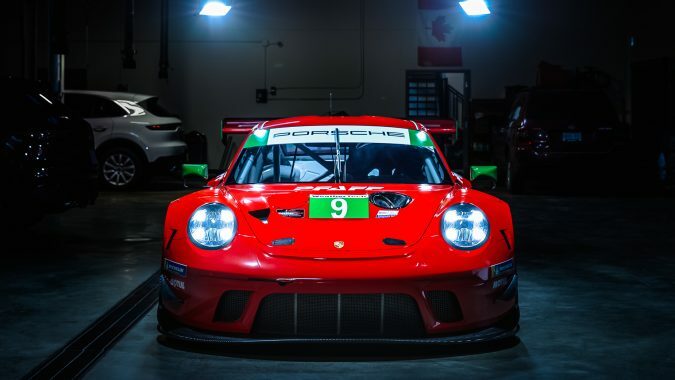 He had an utterly dominant season, winning not only 11 of the 12 Canadian events but also seven of the final eight races of the season in Porsche GT3 Cup USA. Robichon says that Canada’s smaller motorsport scene may actually provide a better platform for helping the most talented drivers rise to the top. “In the U.S., they have so many options,” he says. “I think the fact that we have limited options almost helps us because a lot of the good drivers funnel into the same series. You’re not just racing against two or three good guys. 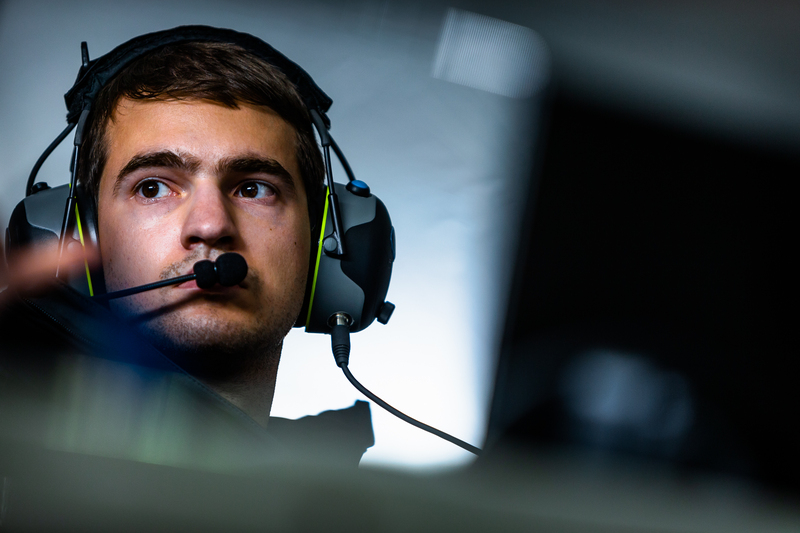 A lot of the time, you have a lot of really talented drivers because it’s the only place for us to race at that level. 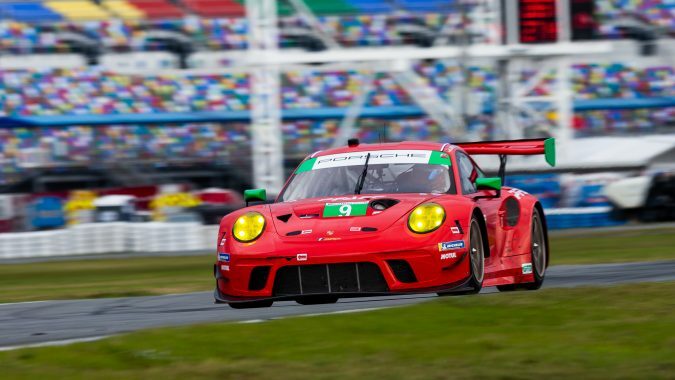 “If you look at the Canadian GT3 Cup series, the last three champions (Robichon, Hargrove, and 2016 champion Daniel Morad) are racing at Daytona. That says a lot on its own. The precise amount of Canadian personnel that the team houses will fluctuate throughout the season. 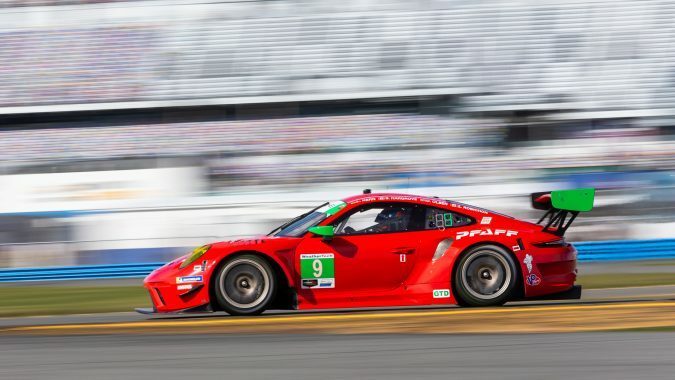 At the shorter events where Hargrove and Robichon are doing all of the driving, it will be higher; when Porsche factory test driver Lars Kern of Germany joins them for the longer races at Daytona, Sebring, Watkins Glen, and the season-finale Petit Le Mans at Road Atlanta, and Norwegian Dennis Olsen becomes the fourth driver for Daytona – plus the requisite additional behind-the-scenes personnel are added – the number will dip a little lower. Still, at its peak, the Canuck quotient pushes well north of 90 percent. Any way you look at it, that’s both rare and impressive. The team has every conceivable hurdle to overcome in one fell swoop as the season kicks off: an entirely new series, new team members, a new driver, and a new format: neither Hargrove nor Robichon has ever raced for more than an hour at a time, and the team hasn’t, either, which means their endurance program is more or less a clean slate. 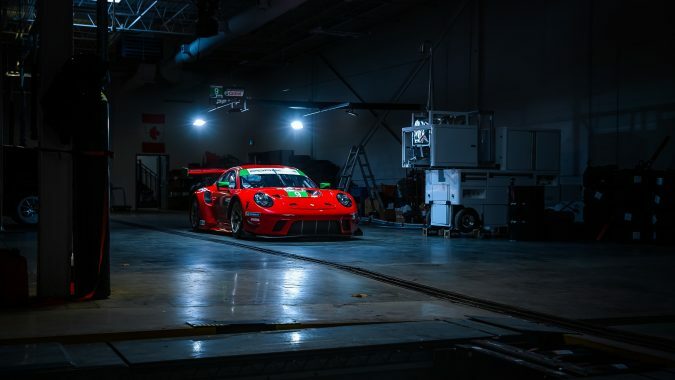 And then there’s the matter of the 2019 Porsche 911 GT3 R, which is an entirely new car released this year for customer GT3 racing. 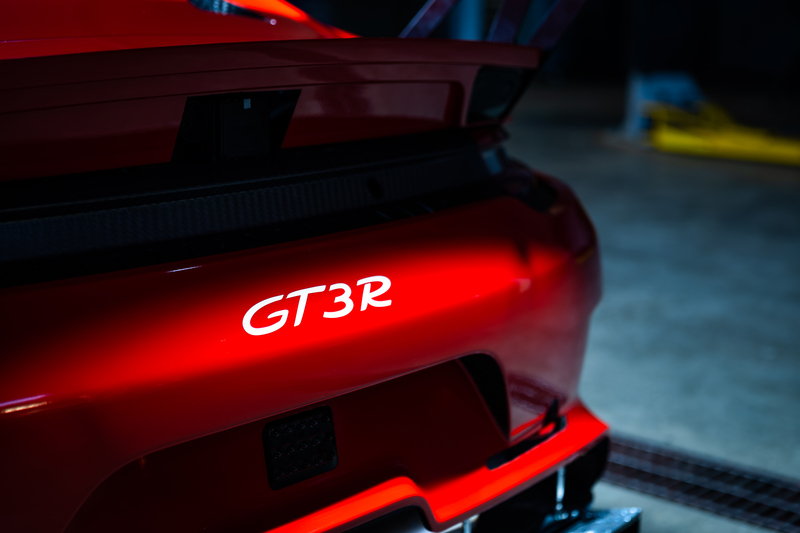 Based on a production 911 GT3 RS, all parties involved say it’s a race car unlike any they’ve ever experienced. 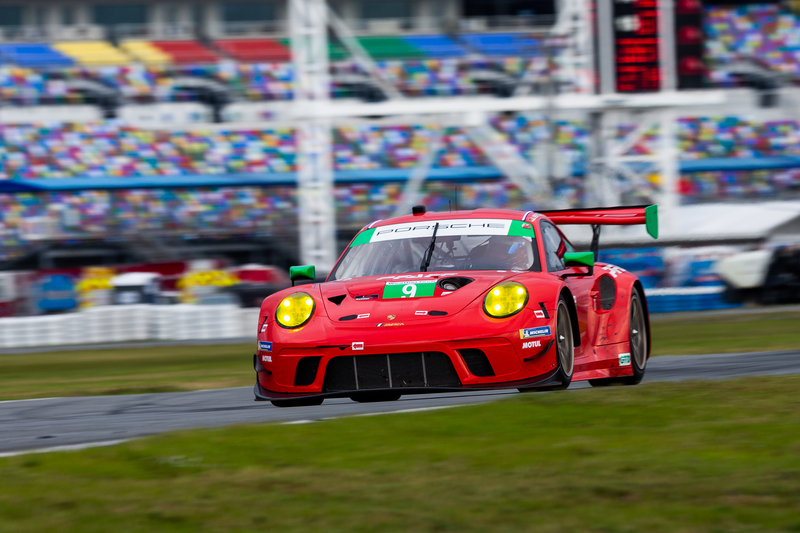 “I think the official word from Porsche is there’s three parts that are the same (from the previous generation),” Hargrove adds. 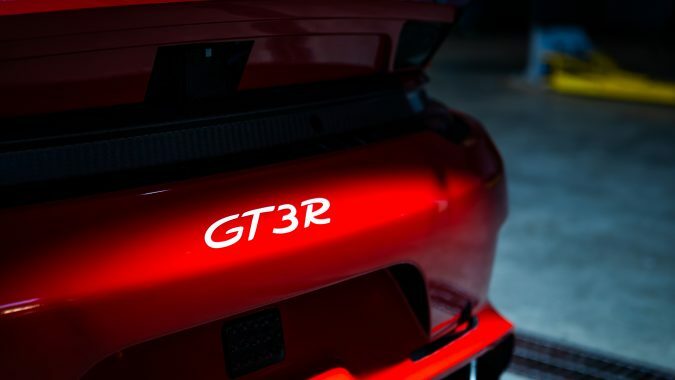 “It is a completely different car, and it feels like a different car when you’re driving it. 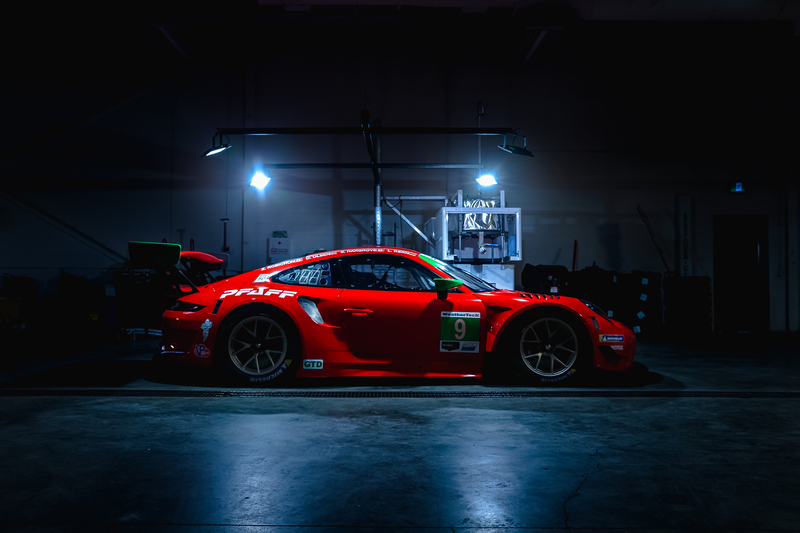 It’s still a 911 and it still handles like a 911, but the biggest thing is the feeling of driving something that was designed from the ground up for racing. When you’re sitting in the seat, it feels more like a cockpit wrapping around you. The seat is in a more aggressive position, so you’re more lying down like a prototype or a formula car than a street car. 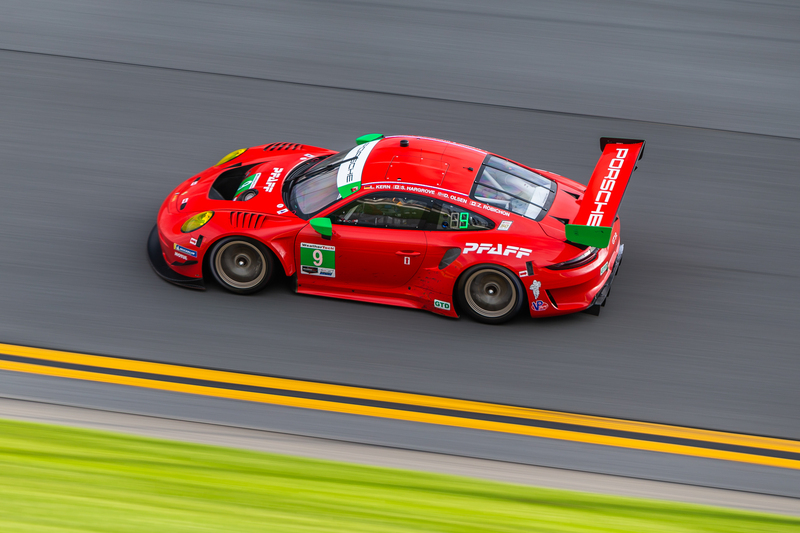 While Hargrove points out that it’s been a long time since he’s gone through a full race season without a win and he considers it a goal for this year to score at least one, the team as a whole sees learning and consistency to be the paramount objectives in their debut IMSA outing. 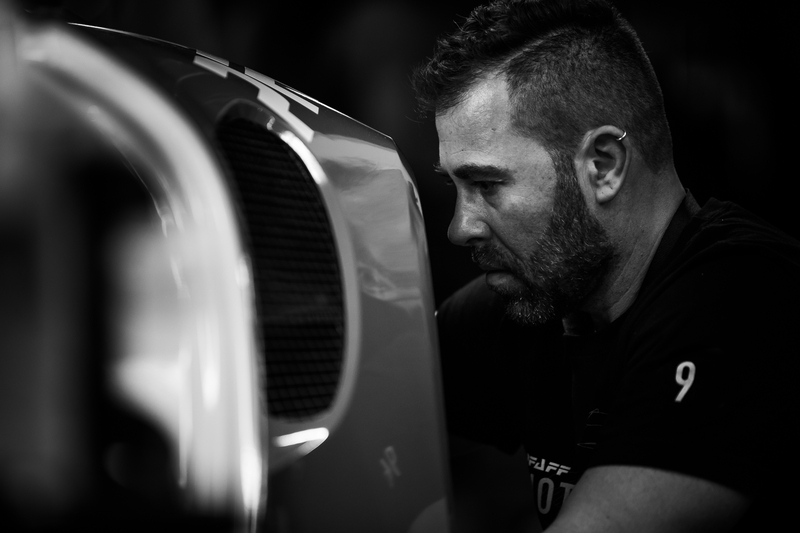 “I set the goal for the team to finish every lap of every race and gain that experience,” Bortolotti says. 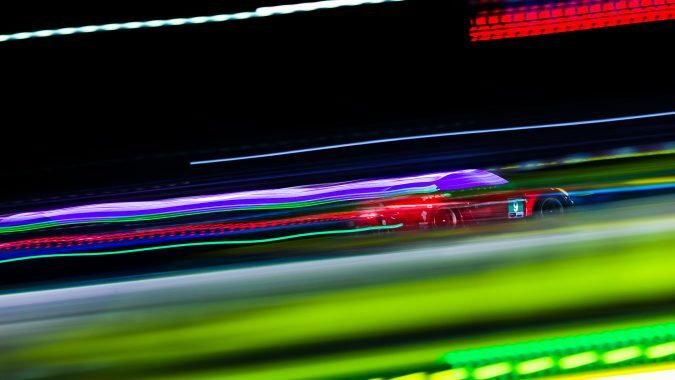 “It’s just a matter of getting all the data, getting all the information we can so that we can put ourselves in the best position throughout the course of the season. And all the while, however it turns out, everyone involved will be proudly waving the flag on this unofficial Team Canada. “Every single person on the team wears that badge with pride,” Robichon says. “It means a lot to everybody. – Mikhail Goikhberg and Devlin DeFrancesco: Toronto’s DeFrancesco teams up with Russian-born Canadian Goikhberg on the No. 85 JDC-Miller Motorsports Cadillac DPi. 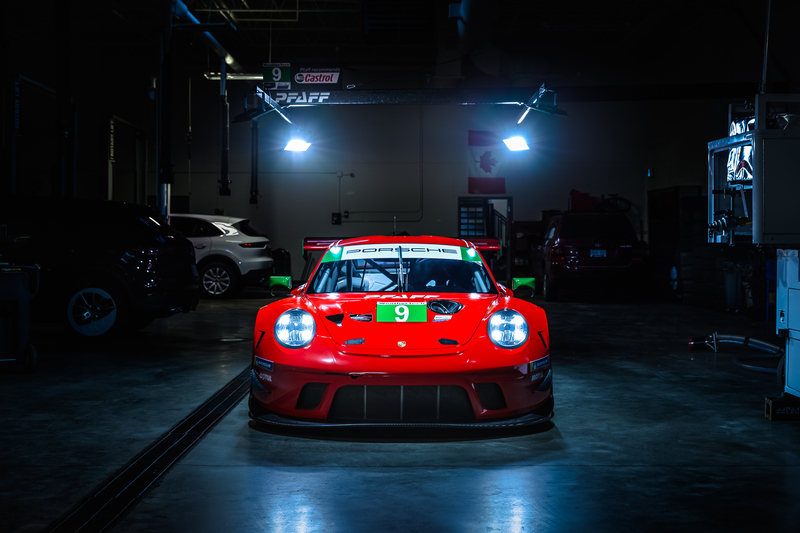 – Daniel Morad: The 2016 Porsche GT3 Cup Canada champion from Toronto is co-driving in the GTD class in the No. 29 Montaplast by Land Motorsport Audi R8 LMS GT3. – Roman DeAngelis: This young racer hailing from Lakeshore, Ontario, is one of the drivers piloting the No. 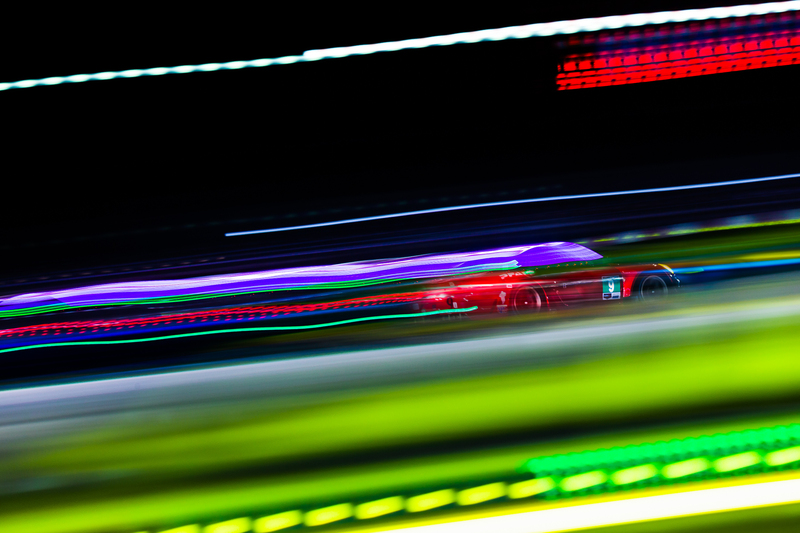 88 WRT Speedstar Audi Sport Audi R8 LMS GT3 in the GTD class. 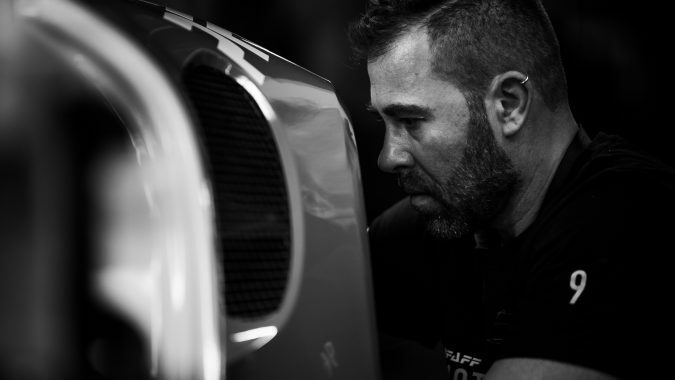 – Paul Dalla Lana: From Vancouver, British Columbia, this long-time Am-level racer joins the driver roster on the No. 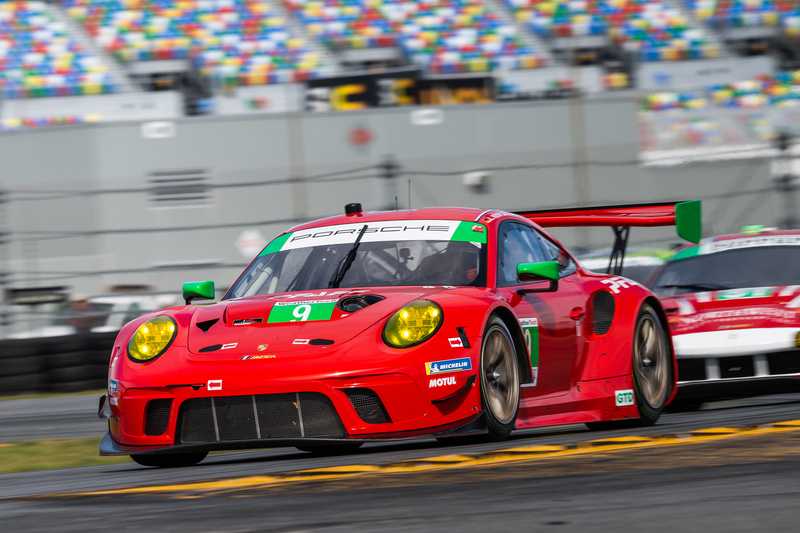 51 Spirit of Race Ferrari 488 GT3 in the GTD class. – Cameron Cassels: Co-driving the No. 38 Performance Tech Motorsports LMP2 entry, Cassels hails from Coldstream, British Columbia. 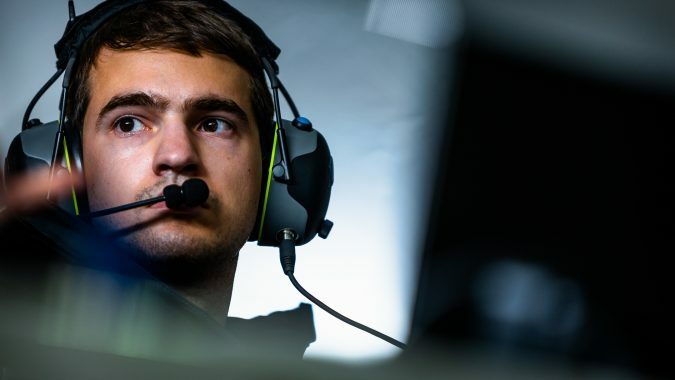 – Jesse Lazare: From Montreal will be driving the Quebec-based Motorsports in Action No. 69 McLaren 570S GT4 in the GTD class. 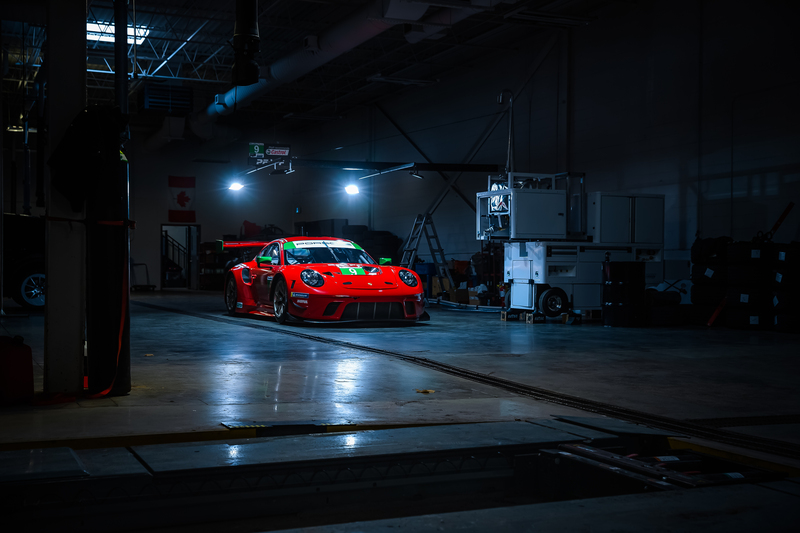 – AIM Autosport: This veteran Canadian race team, also based in Woodbridge, has partnered with former IndyCar team owner partnership of Jimmy Vasser and James “Sulli” Sullivan to form AIM Vasser Sullivan, which will field two Lexus RC F GT3s in the GTD class. 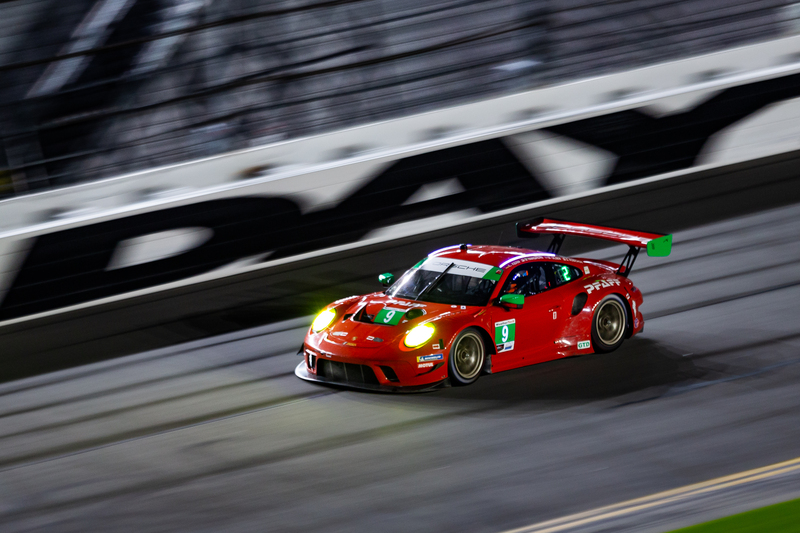 The Rolex 24 at Daytona takes place from Saturday, January 26, when the green flag waves at 2:35 PM Eastern time, to Sunday, January 27, ending as the checkered flag falls at the same time, 2:35 PM. 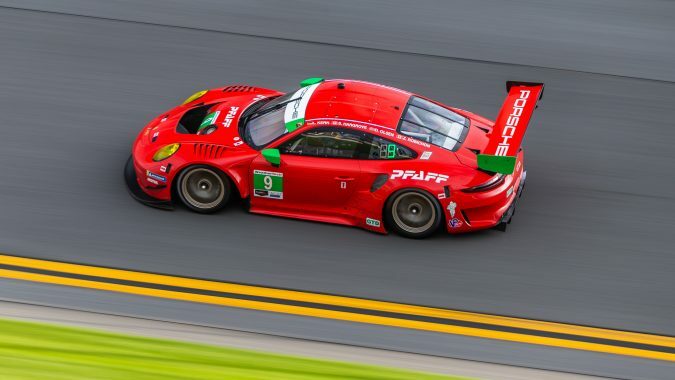 IMSA is working on a contract with a Canadian television partner for the 2019 season. As of publication time, this agreement was not yet in place and it was not clear whether it would be in time for Daytona. If television coverage is not available, Canadians will be able to watch portions of the race via live streaming at imsa.tv. 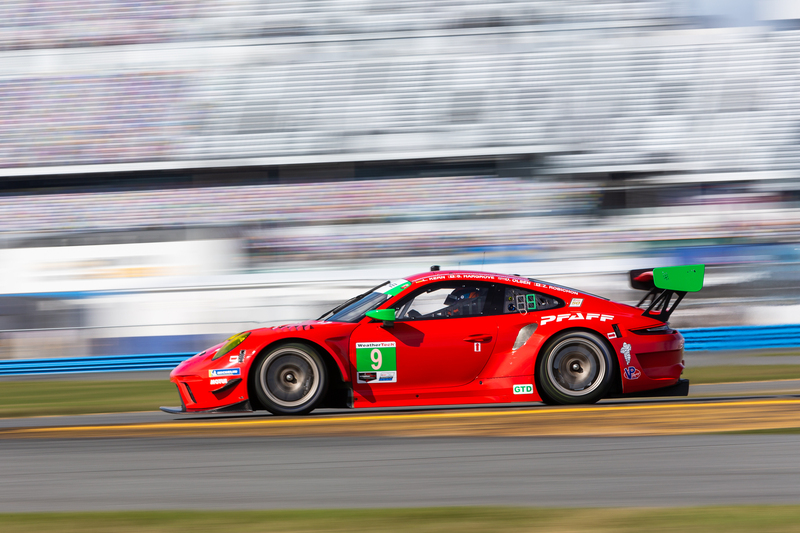 Visit imsa.com for details.